Well, there are not many books in my shelf of which I can say: “I am glad to have it – but honestly, I don´t really grasp it.” Reading this book reminded me of my childhood when I loved to roam about in my elder brother´s room and stroll through their school books: Astronomy, physics, biology. I couldn´t read. And I did not understand what I saw, but I loved to turn the pages and look at all those drawings, charts and plans. Later I, when I was in their age, I was so familiar with the function of steam-engines, turbines, nuclear power plants and even the fascinating looks of the DNA. It´s almost the same feeling when looking at “The Principles of Yacht Design” – to be honest: I couldn´t understand 80 per cent of the book. But that´s okay. I don´t have to: This book is written in a way that it appeals to landlubbers like me and thorough able yacht designers, capable of understanding the formulae and charts. 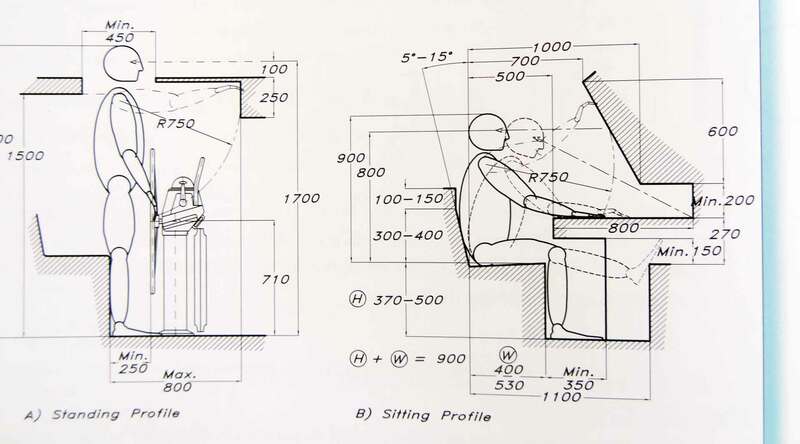 I did buy that book because it is reckoned of being the standard work for yacht designers. This book deals with all aspects of modern yacht design. Having redone the book to its contemporary fourth edition underlines the importance of this book. It´s one of the benchmark books for students of renowned Southampton School of Yacht Design. Larsson, Eliasson and Orych are designing a 40 feet yacht from scratch – the YD-41 – and demonstrate how to start design process and how to optimize the whole concept. Which is fascinating to follow, even for somebody who has no idea of what all the charts, tables and formulae mean. Every aspect of yacht design has its own chapter, starting with the basics knowledge of stability, hull-design, hydrostatics (very interesting! ); keel and rudder to finally construct the rigging, sail plan and engine sizing. The book is extensively dealing with hydrostatics and questions of stability both theoretically, which is great because one gets an insight of how many questions a designer will have to find an answer to before making a decision, how many reviews of the review he will have to make before being sure of having found a great solution. Did you know of hogging and sagging? Before finally finishing with great chapters on yacht building materials, where we learn of the characteristics of GRP, how to laminate, material fatigue and all questions related to modern sandwich-techniques, the reader gets intimate insights in interior design, deck layout for the roping and rig construction. This is where I did have my light bulb-effect: When reading yachting magazines there´s often a lot of criticizing of the sail plan. But how to design a rig in the first place is a wonderful, yet extremely complex procedure – which I did not fully understand – but what I´ve learned in the first place: No matter which yacht you will have a look at, let it be one of the “yoghurt cups” made for marina hopping or the IMOCA 60 high velocity racing yachts, there was always tedious work going into the sail plan. All in all the book has 16 chapters which will gradually dive deeper into the process of designing a yacht. The writers state at the beginning that their book was written to both act as an informative library to give answers on detailed question concerning the design of a yacht on the one hand and as well be the standard reference for professional yacht designers. And for real: All charts, formulae and data featured by the book can be utilized to start the design process of one´s own yacht. It´s a bit disproportionate to speak of “gripping” passages as this is non-fiction special interest book, but really, there are some figures which could provide for a thorough light bulb effect. 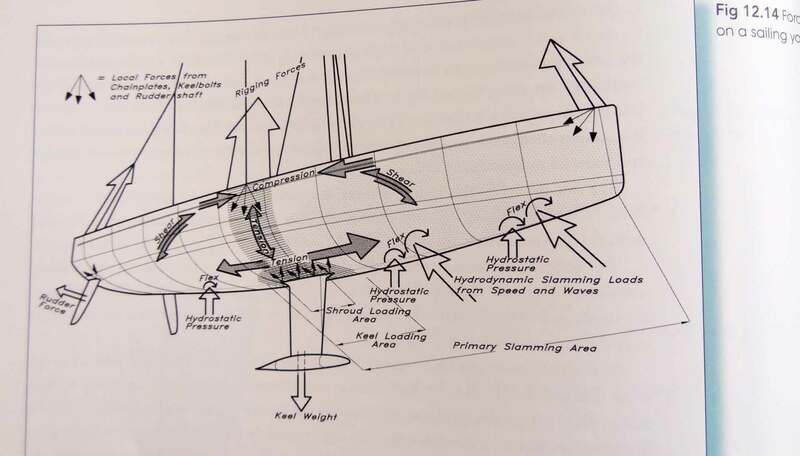 I found particularly interesting the passages on loads and stresses that go into a sailing yacht hull when sailing. The points of maximum loads, be it rigging forces, hydrostatic pressures, forces that act against each other like keel and sail, flexing of the hull, shearing and tension is both fascinating and frightening. By looking at this one would understand the truly complex task of yacht design and thus maybe gain a little more respect for the work that went into one´s own yacht – no matter of her shortcomings. 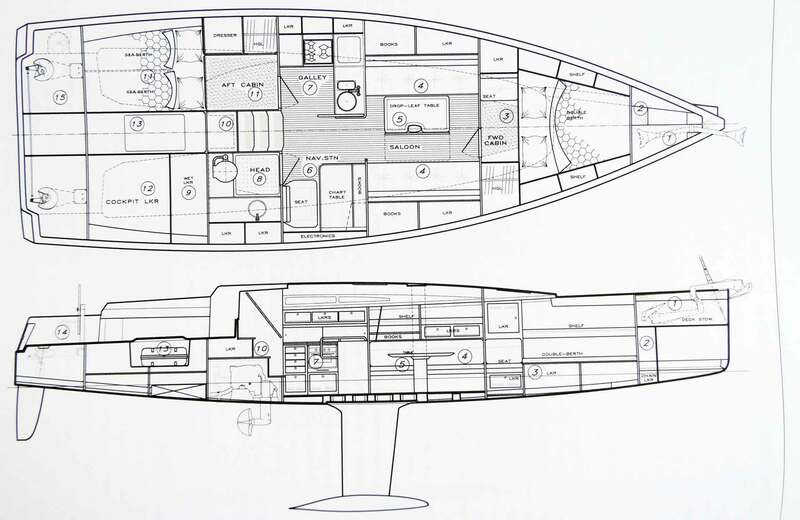 Another part I particularly liked was the general design process of a yacht. I am familiar with project management and agile working in general, but to get an insight in how this process is applied to designing a yacht is really great. Questions like “what is this yacht meant for?”, “how many persons would be sailing with her?” or just simply “where is this yacht going to be sailed?” do determine a lot of a yacht´s later characteristics and design features. Even standing height, working comfortably in the galley and finding a (relatively comfortable) good night´s sleep are simple formulae to be incorporated into the overall concept of a sailing yacht. What I really like about that Book. And what not. 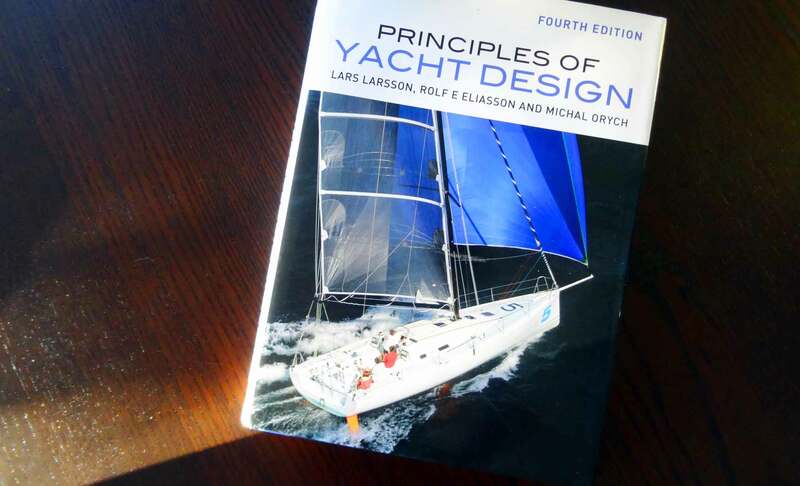 I really enjoyed reading “The Principles of Yacht Design” and I am glad having spent the high price of the book for this work provide an intimate insight in what professional yacht designers do when tasked of constructing a new yacht. Most of the time the chapters are introduced by an overall description of the key factors of a topic which are comprehensible even for non-professionals like me. But then it often gets detailed and based of huge charts, tables and countless formulae. This is when I skip the page and hope for a more understandable section to come. Seeing the YD-41 sailing yacht come to life from the basic outline sketching through hull design, all those complicated equations to rigging and sail plan is a fantastic journey that is at least as exciting as reading a book on somebody´s adventurous circumnavigation. Besides: The cover picture shows a Pogo 40 racing yacht, one of my favorites, so what could go wrong with this book? Nice, just bought a copy, too. Does the book go over polar diagrams? Next Post	Does a Sailing Yacht need a Quarter Berth?